NatHERS house energy rating training course specialists …. Setting the benchmark for House Energy Rating training…. Welcome to Education In Building (EIB) – the NatHERS course and House Energy Rating training specialists. The Nationwide House Energy Rating Scheme (NatHERS) encourages energy efficiency by giving houses a star rating based on the thermal performance of their design. NatHERS is the most common way to show that a new house or major renovation meets minimum state and territory building energy efficiency requirements based on the National Construction Code (NCC). At EIB, we identified this at the onset since its introduction in 2013. We have since focussed incredibly hard on being the leader in House Energy Rating, Thermal Performance & Energy Efficiency training online accredited courses. In particular, we are a major training provider of the Nationwide House Energy Rating Scheme (NatHERS) qualification: CPP41212 Certificate IV in NatHERS Assessment. At Education In Building we are proud to be the only Nationally Registered Training Organisation providing NatHERS software training in all three software tools FirstRate5, AccuRate or BERSPro. The online Energy Efficiency courses and qualifications provided by EIB are recognised for accreditation as a Home Energy Assessor under the Nationwide House Energy Rating Scheme (NatHERS). 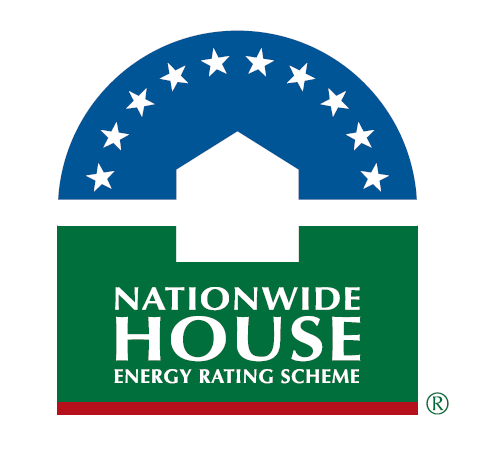 EIB acknowledges the approval of the Commonwealth of Australia to use the Nationwide House Energy Rating Scheme name and logo. EIB courses are designed and developed in consultation with industry leaders, so you can be confident that what you’re learning is relevant. We take great pride in offering courses that meet the needs of House Energy Raters and Home Sustainability Assessors. Our training courses are continually reviewed and updated to include the latest legislation, codes and standards. There are three software tools accredited under NatHERS, each with different user interfaces and functions. Understanding how to use the Software correctly is of utmost importance for any House Energy Rater. Education In Building is the only Registered Training Provider offering training in all three software tools. Architects, Building Designers, Building Certifiers, Building Inspectors & Builders are among the many professionals adding NatHERS House Energy Ratings to their existing business skill set allowing them the freedom to carry out their own modelling and review energy rating outcomes immediately. Increase your knowledge in the field of building, construction energy efficiency training with EIB’s online courses. To learn more, contact the qualified team at Education In Building today. Our mission is to build a capable workforce in the energy efficiency industries. Let us give you the leading edge. Send us a message, click on the button below.